I have a rather lovely woollen blanket that came to me from a op shop (thrift shop) years ago. 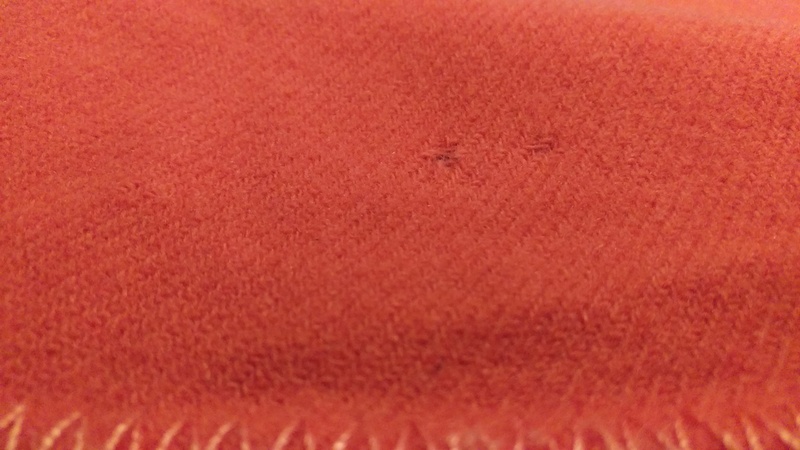 It came with a lot of little holes that haven’t stopped it being a great warm blanket. I have had it in mind to mend them or embellish them for years. 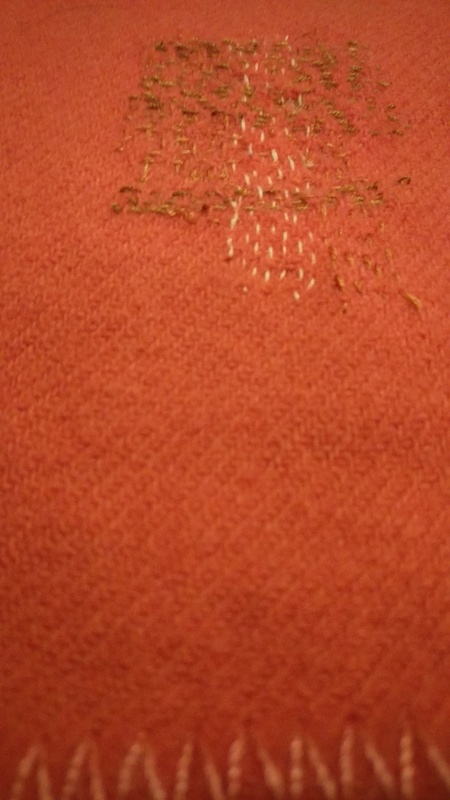 This time I have actually done a little mending. 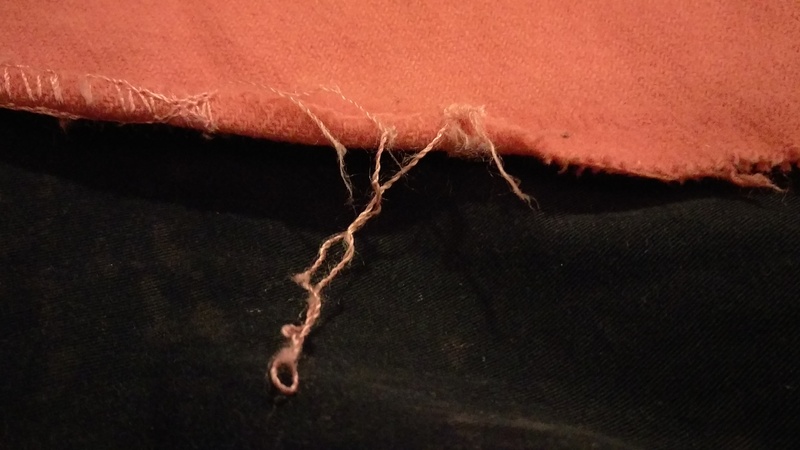 I even blanket stitched some of the unravelled edges. Well. Someone enjoys it! 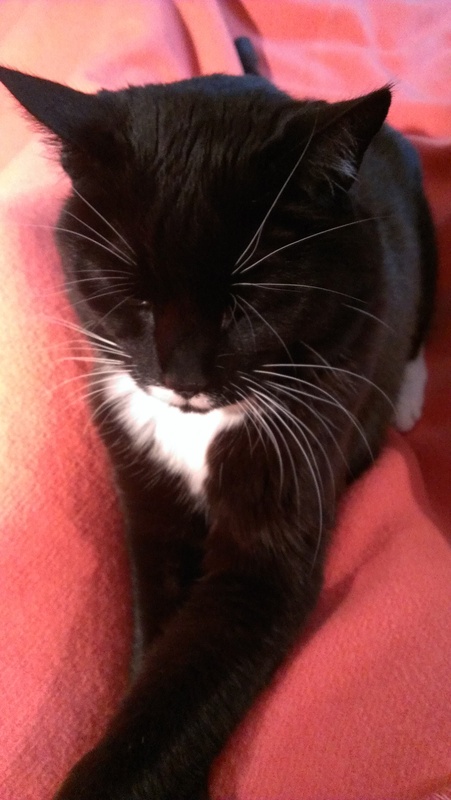 She is a visitor who spent some weeks with us but has now been on a road trip to her new home in Tasmania with her usual people. 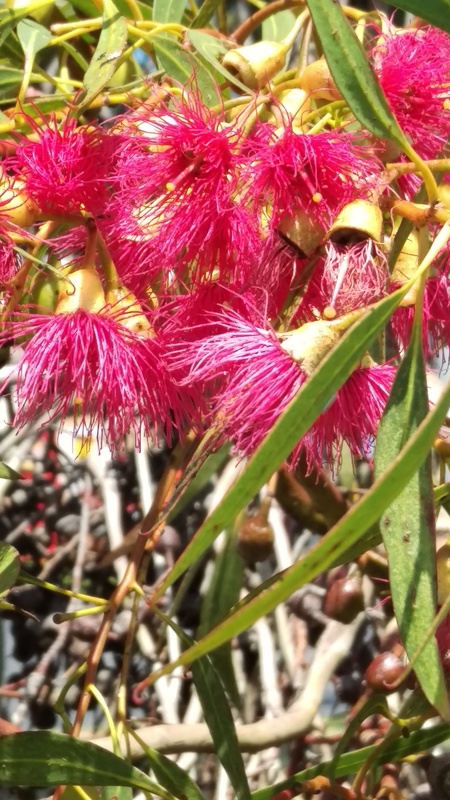 It did seem funny to be mending a woollen blanket when we are verging on summer… I give you a local eucalypt in full bloom!